It also included a first-time visit from CMHC President and CEO Evan Siddall, who participated in a 15-minute question-and-answer session with Mortgage Professionals Canada President and CEO Paul Taylor. Coverage of that discussion is available here. Despite significant industry changes over the last year, including the introduction of the mortgage stress test on January 1 and its ramifications, the panelists said they remain optimistic about the future of the industry and its ability to adapt. Moor said they’re seeing people change their behaviour in response to the B-20 rules. “It’s interesting to see how many of our loans now have two borrowers as opposed to one,” he said, adding they’re also seeing people buying slightly smaller houses than before. The world doesn’t need mortgage brokers. People can compare rates themselves if given the info. All they need is an online system which automates they choice, turning it into business for the lender they choose. Same with realtors. Online bidding, then automated system which processes the transaction. So, if it can be automated and would benefit the consumer, you can bet it will happen. This market crash will provide the perfect cover for major overhauls, including the diminishing of realtors and mortgage brokers. its time we go back to pre 1973 were mortgages in canada were like USA. 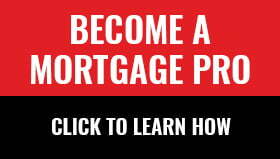 once your mortage is set at fixed pre monthly payment for the life of mortgage.